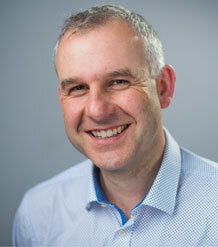 Adrian Bailey is Senior Lecturer in Management at the University of Exeter Business School. He is the co-founder of the ‘Business, Nature and Value Research Centre, an international network researching issues of sustainable supply chain management. Adrian brings a wide range of knowledge from human geography and management studies to explore the how the co-operative identity (i.e. organisations where members are also owners) can contribute to sustainable business practices and business models. Adrian gained his doctoral thesis in 2002, entitled ‘Developing a model community: Institutions, paternalism and social identities in Bournville, 1879-1939‘. His doctoral work adopts a mixed methods approach to research the interaction of Quaker business philanthropy, the Cadbury organisation and the local communities within the Bournville Village Trust. In 2003, he joined the School of Geography at the University of Exeter to work on the Leverhulme funded project ‘The Role of Methodism in Cornish Cultures, c.1830-1930‘. Joining the Business School in 2006, Adrian worked on the AHRC project ‘Reconstructing consumer landscapes c.1947-1975: Shopper reactions to the supermarket in early post-war England‘. In 2007, he began working on the AIM/ESRC-funded project ‘Internationalisation and innovation in the service sector: The role of international migration and UK (London) hotels‘. His research uncovers ‘hidden innovation‘ in front and back office functions, highlighting the impacts of new information communication technologies on marketing, service quality and the outsourcing of services. Adrian was appointed as Lecturer in Tourism Management in 2009 and was the Director of tourism programmes from 2009-2013. He remains active in researching visitor experiences in arts and cultural institutions. Since 2010 he has been working with the Co-operative Group (UK) to deliver undergraduate modules that highlight the role of co-operative values and principles to business practice. His research now combines his enthusiasm for co-operatives, with his research exploring issues of food security and rural development in a range of international contexts. Away from his desk, Adrian is the co-Chair of the Belmont Eco-Group, which achieved Eco-Congregation status in 2008-2010 and is currently applying for Eco-Church status. Informed by political theologies that incorporate an ecological focus, he helps faith based organisations to respond to the challenges presented by climate change and consumerism. He keeps an allotment and grows a wide range of organic fruit and vegetables with his family for the home kitchen. BSc Geography (University of Birmingham), MSc World Space Economy (University of Birmingham), PhD (University of Birmingham). My current research is focusing on issues of collaboration and governance within the context of co-operatives and social enterprises. These hybrid organisations combine social and economic missions, which provide a range of challenges for managers. My recent research has been focused on producer co-operatives in relation to issues of food security and rural development. My current work brings together my previous research on religion and spatiality, which explores the institutional reproduction of values and beliefs, with my interest in the consumer adoption of innovations in retailing and hospitality organisations. I am seeking to understand how co-operatives and social enterprises can embrace environmental sustainability within their business models and how effective market demand for their products and services can be created (e.g. through certifications and social movements). This is part of an effort to understand how sustainable innovations can be scaled up (i.e. institutionally), scaled out (i.e. extended to more people) and scaled deep (i.e. culturally embedded). Adrian is currently the recipient of Newton mobility grants with partners in South Africa (Sustainability Institute), Brazil, China and a Newton Caldas grant (ReDES: University of Los Andes). Hutchison F, Bailey AR, Coles T (In Press). An Evidence Based Methodology for Cultural Institutions Seeking to Identify and Profile their Local Populations. Museum Management and Curatorship (RMMC) Full text. DOI. Bailey AR, Alexander A (In Press). Cadbury and the rise of the supermarket: innovation in marketing 1953-1975. Business History Full text. DOI. Queues are part of everyday routine and experienced by most shoppers, yet little attention has been given to providing historical accounts of queuing as a consumer task or as a shopper experience. This paper examines grocery shop queues and the changing experience of shoppers in historical perspective, specifically focusing upon the shift from counter service to self-service grocery formats in Britain from 1945-1975. The paper draws upon a wide range of material utilising evidence from oral histories and witness groups, which are supported by contemporary sources from Mass Observation, newspapers, shopper surveys, trade publications and reports. The conceptual framework developed in the paper explores the public and private dimensions of queues to consider the experiences and perceptions of shoppers during a period of rapid change in the retail grocery system. More generally the paper contributes to our understanding of how management innovations are connected to untraded public values. The transfer of Human resource management (HRM) practices from the corporate business context into schools has taken a novel turn. No longer restricted to the management of school teachers, HRM techniques are now being applied to the management of students. HRM views the student as a human resource to serve the school, and seeks to systematically regulate students’ identities in order to align them with school values and goals. The paper introduces the Uncommon Schools model as an exemplar of student centred HRM. The case study demonstrates how student-centred HRM is being operationalised in schools and concludes by exploring the potential of this systematic innovation in student management. The paper is informed by critical management theories and argues that student centred HRM constitutes a radical shift in the relationship between school and student. Jia F, Zuluaga L, Bailey AR, Rueda X (In Press). Sustainable supply chain management in developing countries: an analysis of the literature. Journal of Cleaner Production Full text. Brace C, Bailey AR, Harvey DC, Thomas N, Carter S (eds)(2011). Emerging Geographies of Belief. UK, Cambridge Scholars. Bailey AR (2017). The Chicken and the Quetzal: Incommensurate Ontologies and Portable Values in Guatemala's Cloud Forest. TOURISM MANAGEMENT, 60, 65-66. Author URL. DOI. Shaw G, Bailey A, Alexander A, Nell D, Hamlett J (2012). The coming of the supermarket: the processes and consequences of transplanting American know-how into Britain. , 35-53. Shaw G, Bailey AR, Williams A (2011). Aspects of service-dominant logic and its implications for tourism management: Examples from the hotel industry. Tourism Management, 32(2), 207-214. This paper introduces the concept of service-dominant logic as a research paradigm in marketing management. It does so in the context of tourism management’s need to engage with wider debates within the mainstream management literature. Moreover it demonstrates the importance of service dominant logic in uncovering the role played by co-production and co-creation in the tourism industry. These ideas are developed in detail through a case study of the UK hotel industry that draws on new empirical research undertaken by the authors. Shaw G (2011). Aspects of service-dominant logic and its implications for tourism management: Examples from the hotel industry. Tourism Management, 32(2), 207-214. Full text. Bailey AR (2011). Regulating the supermarket in 1960s Britain: exploring the changing relationship of food manufacturers and retailers through the Cadbury archive. Business Archives, 103(103), 1-23. Full text. Bailey AR, Shaw G, Nell D, Alexander A (2010). Consumer behaviour and the life-course: shopper reactions to self service grocery shops and supermarkets in England c.1947-1975. Environment and Planning A: international journal of urban and regional research, 42, 1496-1512. The paper examines the development of self-service grocery shopping from a consumer perspective. Using qualitative data constructed through a nationwide biographical survey and oral histories, it is possible to go beyond contemporary market surveys which give insufficient attention to shopping as a socially and culturally embedded practice. The paper uses the conceptual framework of the life-course, to demonstrate how grocery shopping is a complex activity, in which the retail encounter is shaped by the specific interconnection of different retail formats with consumer characteristics and situational influences. Consumer reactions to retail modernization must be understood in relation to the development of consumer practices at points of transition and stability within the life-course. These practices are accessed by examining retrospective consumer narratives about food shopping. Alexander A, Nell D, Bailey AR, Shaw G (2010). The Co-Creation of a Retail Innovation: Shoppers and the Early Supermarket in Britain. Enterprise and Society, 10, 529-558.
drawn from a nationwide survey is presented in support of our arguments. Alexander A, Nell D, Bailey AR, Shaw G (2009). The Co-Creation of a Retail Innovation: Shoppers and the Early Supermarket in Britain. Enterprise & Society, 10(3), 529-558. In this paper we examine shoppers' reactions to the development of early supermarket retailing in post-war Britain. Positioning our discussion in relation to multi-disciplinary contributions on the role of consumers in innovation, we argue that more attention needs to be given to the shopper's input in the debate on retail innovation, including the supermarket. New oral history data drawn from a nationwide survey is presented in support of our arguments. Shoppers' contributions to the supermarket innovation are shown to be multi-faceted in nature, incorporating processes of co-production and value creation; processes that were altered in the transition from counter-service to self-service retail environments. Shoppers' discussions of such alterations were frequently structured around four aspects of interaction; with the physical environment of the store, with the goods for sale, with other shoppers and with shop staff. Whilst increasingly part of 'ordinary consumption' routines, the data highlights that in the switch to the supermarket, shopping became a more reflective activity and one that resulted in a variety of experiences and emotions. Bailey A, Brace C, Harvey DC (2009). Three Geographers in an Archive: positions, predilections and passing comment on transient lives. Transactions of the Institute of British Geographers, 34(2), 254-269.
inter-subjective relationships and methodologies used to reconstruct the religious past. How do different subject positions influence our selections from historical records? enrich the interpretative reconstruction of the religious past. Bailey AR, Brace C, Harvey DC (2009). Three geographers in an archive: positions, predilections and passing comment on transient lives. Transactions of the Institute of British Geographers, 34(2). DOI. Nell D, Alexander A, Shaw G, Bailey AR (2009). ‘Investigating shopper narratives of the supermarket in early postwar England 1945-1975’. Oral History Journal, 61-73. Hamlett J, Bailey A, Alexander A, Shaw G (2008). Ethnicity and Consumption: South Asian food shopping Patterns in Britain 1947-75. Journal of Consumer Culture, 8(1), 91-116. Full text. Hamlett J, Bailey AR, Alexander A, Shaw G (2008). Ethnicity and Consumption: South Asian food shopping patterns in Britain, 1947–75. Journal of Consumer Culture, 8(1), 91-116. The case for tightened regulation of supermarket retailers through competition legislation and land-use planning has become a prominent issue for policy makers and communities. The AHRC Reconstructing Consumer Landscapes Project has recently conducted an oral history of the coming of the supermarket and self service to post-war England. The very early findings of this project are used in this paper to bring a historical perspective to the debate. the supermarket did not simply supersede independent and family shops: multiple stores are a long-standing part of the British retail landscape and consumers have been comfortably making use of them for more than a century. Historically, ownership mattered less to consumers than has previously been assumed: it was the service offered by stores that played the crucial role in determining consumer satisfaction. Policy makers should therefore give in-store experience more consideration. Consumer choice was shaped not just by the variety of goods on offer, but by social and cultural factors such as class, gender and ethnicity. There is therefore a need for a diverse range of services and goods that reflects the varied social and cultural background of consumers. Historically, small shops have played an important role in communities, but multiple stores have also fostered social interaction and cohesion. Policy makers should look beyond the question of ownership and size to recognise that well-managed service encounters can foster social interaction for shoppers in a diversity of retail spaces. Bailey AR, Harvey DC, Brace C (2007). Disciplining Youthful Methodist Bodies in Nineteenth-Century Cornwall. Annals of the Association of American Geographers, 97(1), 142-157. DOI. Harvey DC, Bailey AR, Leyshon CS (2007). Parading the Cornish Subject: Methodist Sunday Schools in West Cornwall c. 1830-1930. Journal of Historical Geography, 33(1), 24-44. DOI. Harvey DC, Bailey AR, Brace C (2007). Parading the Cornish subject: Methodist Sunday schools in west Cornwall, c.1830-1930. Journal of Historical Geography, 33(1), 24-44. This paper explores the historical relationships between Methodist Sunday school tea treats and parades and the formation of religious identity in west Cornwall between c. 1830 and 1930. Through these ritual activities, people were entrained into the symbolic identity-forming apparatus of Methodist faith and practice. Moving beyond the spaces of school rooms and chapels, the paper focuses on the organisation, the use of public space and the territorial significance of annual tea treats and parades in the nurturing and maintenance of a Methodist constituency. In so doing, the paper draws on work in the history of Nonconformity, geographies of religion and the historical geography of parades to conduct a critical analysis of tea treats and parades as ritual, spectacle and carnival. (c) 2006 Elsevier Ltd. All rights reserved. Bailey AR, Bryson JR (2006). 'A Quaker experiment in town planning: George Cadbury and the construction of Bournville Model Village'. Quaker Studies, 11, 89-114. Harvey DC, Bailey A, Brace C (2006). Religion, place and space: a framework for investigating historical geographies of religious identities and communities. Progress in Human Geography, 30(1), 28-43. Despite a well-established interest in the relationship between space and identity, geographers still know little about how communal identities in specific places are built around a sense of religious belonging. This paper explores both the theoretical and practical terrain around which such an investigation can proceed. The paper makes space for the exploration of a specific set of religious groups and practices, which reflected the activities of Methodists in Cornwall during the period 1830 - 1930. The paper is concerned to move analysis beyond the 'officially sacred' and to explore the everyday, informal, and often banal, practices of Methodists, thereby providing a blueprint for how work in the geography of religion may move forward. Bailey AR (2006). Sacred space in early modern Europe. Journal of Historical Geography, 32(4), 876-878. DOI. Bailey AR, Bryson JR (2006). Stories of suburbia (Bournville, UK): from planning to people tales. Social and Cultural Geography, 7(2), 179-198. In this paper we show that the avoidance or reduction of difference found in the popular history of Bournville was the result of storytellers situated in specific institutional contexts. During the initial development of Bournville a particular (sub)urban future was imagined and mediated by these storytellers, through processes of simplification and choice, which served to reduce the past to an imposed and arbitrary simplicity or organised saga. In this saga the voices of residents are silenced. Our approach is, first, to explore ways of conceptualising the construction of urban history and, second, to construct two different and deliberately conflicting representations of Bournville. The first account provides a critique of the common representation or town planning account of Bournville. In contrast, the second account works through the voices of residents providing an opportunity for them to construct a lived account of Bournville with specific reference to temperance and the consumption of alcohol. Our first story is about the construction of a particular urban space whilst the second is about the ways in which the space was partially 'colonised' by residents. By constructing conflicting accounts of the same place we aim to open the dominant discourses associated with Bournville to complexity and heterogeneity. Brace C, Bailey A, Harvey DC (2011). Investigating the spatialities of youthful spirituality: Methodist mutual improvement in Cornwall (UK), c. 1870-1930. In Brace C, Bailey A, Harvey DC, Thomas N, Carter S (Eds.) Emerging Geographies of Belief, Cambridge: Cambridge Scholars, 74-90. Bailey AR, Shaw G, Williams A (2012). Uncovering Innovation Processes in the Hotel Industry. Advanced Institute of Management. Full text. Coles T, Bailey A, Pringle E (2018). The Family Display: a spatial analysis of family practices at Tate. Publicly-funded museums in the UK face the dual challenge of maintaining meaningful relationships with their existing visitors and establishing effective relationships with new audiences. Museums perceive family audiences as important because engaging with them can provide immediate and future impact. Since families with children tend to be understood as ‘learning’ audiences, they offer a way for publicly-funded museums to demonstrate their worth to society through the provision of education. Furthermore, successful engagement with families with children is perceived as a way to cultivate enduring, resilient and life-long relationships with audiences who could potentially support the future viability and financial sustainability of museums. Families, therefore, are a museum audience with high strategic value. However, there is a lack of research to support what experiencing museums means to families. Most existing research in this area analyses family experiences of museums at the level of individual episodes within a visit. That is, rather than focusing on the lives of family visitors and how they connect to the museum, analysis focuses on learning events or on the identity-related needs of families during their museum visit. The under-theorization of family in the context of museums is particularly problematic because family audiences are perceived by museums as having bespoke needs that are different from those of other museum audiences. This failure to account for the pluralities of both families and museums makes it difficult to develop authentic understandings of family museum engagement. In this thesis, these issues are examined through the framework of Tate, a leading international art museum. The Association of Leading Visitor Attractions state that Tate is the most-visited publicly-funded cultural institution in the UK and is recognised as a sector leader in terms of its curatorial practices and additional income generation methods. However, family audiences are significantly under-represented at Tate, both as a proportion of the institution’s overall visitor base and when compared to similar museums. This means that Tate’s challenge to retain, attract and engage family audiences is particularly pressing, thus providing an acute case with intrinsic and instrumental value. To address the challenge of increasing and improving family museum engagement, this thesis develops deeper and wider understandings of family experiences of museums by special reference to Tate as a leading international museum. This thesis takes a spatial ethnographic approach to understanding how families experience museums in order to attend to the complexities and multiple realities of family life and museums. Thus, this is the first study to examine family audiences in the particular context of the art museum, itself an under-represented context in museum studies, at the level of family practices. This extends the methodological tradition of ethnographic research in museums by making allowances for material and embodied perspectives, in addition to historical-political and individual perspectives. Data was generated across the Tate Estate between November 2014 and June 2017 and was analysed iteratively in line with the ethnographic approach to research. There are two sets of significant findings. The first set of findings illustrate the sophisticated way that ‘family’ is produced and utilised by Tate as both an ordering social concept and a flexible set of practices. As well as extending how museum audiences can be understood, these findings raise theoretical questions around family and how it is used within the public management and funding frameworks that operate in museums. Additionally, this first set of findings informs the second, since it provides a contextually relevant working definition of the term ‘family’. The second set of findings demonstrate how family experiences of Tate relate to the practices of family, both as private practices between family members and as a public practices made available to wider social circles. These findings have empirical, practical and political implications for Tate and the museum sector, particularly concerning the management of non-traditional museum spaces, intergenerational learning and ambitions for authentic inclusivity within museum engagement. Bailey AR (2017). Cadbury and the rise of the supermarket: innovation in marketing c.1954-1975. This paper develops a case study of Cadbury, to explore the changing relationships between manufacturers and supermarket retailers in the area of marketing for the period 1954-1975. This period was marked by innovations associated with sales, distribution, promotion and merchandising in which manufacturers and retailers competed to own the end consumer and command their rivals’ marketing budgets. Specific reference is made to the repeal of Resale Price Maintenance legislation and the impact this had upon the manufacturer-retailer relationship. The paper introduces the concept of coopetition to frame how Cadbury relations with retailers and rival manufacturers were simultaneously shaped by competition and cooperation. My teaching is focused on so called ‘alternative’ business models associated with the third sector, specifically those that are described as co-operatives, mutuals or social enterprises. These organisations have hybrid identities, as they seek to combine social and economic missions. I deal with issues arising from the governance of these alternative models and aim to prepare students to become social entrepreneurs and co-operative managers. My teaching is supported by my research into agricultural producer co-operatives and social enterprises in a range of contexts (Brazil, China, Colombia, Italy, South Africa and UK). I am also a member of several social enterprises and co-operatives, which provides an insider perspective on the management of these organisations. In 2010, I was sponsored by the Co-operative Group in a knowledge exchange to develop undergraduate modules that highlighted the importance of the International Co-operative Alliance (ICA) values and principles. The outcome of this partnership is BEM3038 Co-operative Enterprise, which simulates the startup of a co-operative social enterprise by considering a comprehensive set of choices that social entrepreneurs must take. The issues covered on the module include: the process of designing a business with social objectives; how to work together co-operatively; the choice of legal constitution; how to engage members in the ICA values and principles; how to market the co-operative difference to members and non-members; capitalisation; and accounting for economic, social and environmental performance. The module is supported by local social entrepreneurs and the Co-operative Group contribute a Dragon’s Den examination of student work. My other teaching interests are associated with qualitative methods and research ethics. I have expertise to share with students in the area of interviewing, oral history, ethnography, historical methods and research ethics. I also contribute guest lectures on modules associated with tourism, leisure and hospitality, where I am able to share my experiences of working with TATE, RAMM and a wide range of tourism organisations. I supervise a wider range of dissertations covering areas of business history, collaboration, co-operation, innovation, religion, spirituality, retailing and sustainable supply chain management.